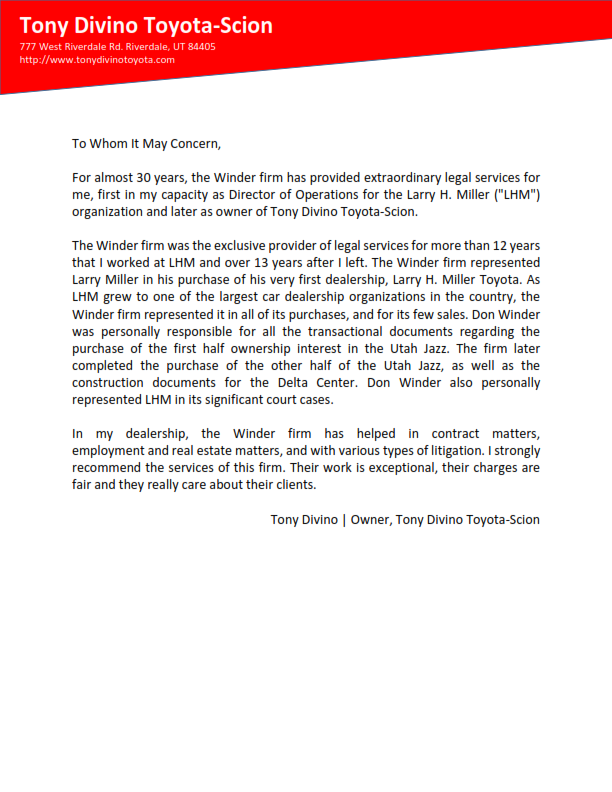 Tony Divino Recommendation | Winder and Counsel, P.C. I strongly recommend the services of this firm.. I strongly recommend the services of this firm.